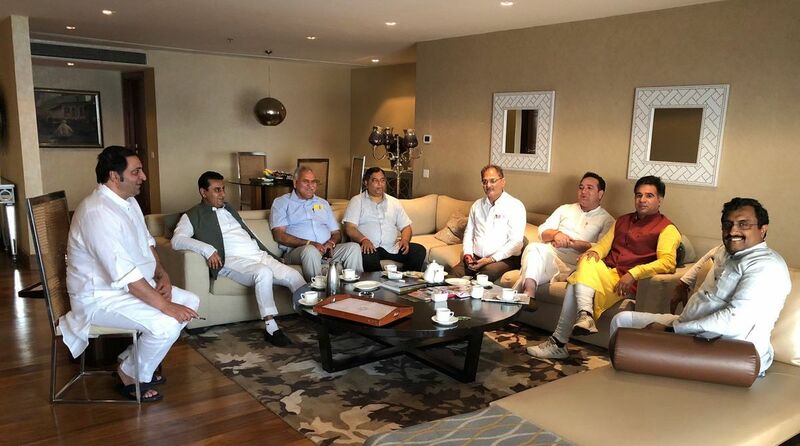 Within a few days, after the BJP withdrew support to the Mehbooba Mufti government and the party’s pointsman in Jammu and Kashmir Ram Madhav met Sajjad Lone, member of a family of separatists, to chalk out the future strategy on Kashmir, the PDP has started disintegrating. At least three PDP MLAs have so far raised a banner of revolt against Mehbooba and are praising the BJP. Lone was a minister in the coalition government from the BJP quota. What has come as a surprise to the political observers is former minister Imran Raza Ansari joining the rebel camp. Imran’s father Moulvi Iftikhar Hussain Ansari was a trusted legislator of Mehbooba’s father Mufti Sayeed in the Congress and later founded the PDP with him. Moulvi Iftikhar died in 2014 and Imran took his place in the PDP. During the recent reshuffle of the PDP-BJP cabinet, Mehbooba had allocated the important portfolio of higher education to Imran. Imran’s uncle, Abid Ansari, PDP MLA from Zadibal constituency, and Mohammad Abbas, party MLA from Tangmarg, were the first to raise the chorus against Mehbooba by calling her “incompetent and responsible for making the PDP her family opera”. To prevent any horse-trading in the current political scenario, the National Conference and the Congress have been asking Governor NN Vohra to dissolve the assembly instead of keeping it in suspended animation. There were reports that some more disgruntled PDP MLAs might join the rebel camp but it is to be seen whether they would make up the numbers to form a government with the BJP. Mehbooba had not yet come out of the shock of the BJP suddenly pulling the rug from under her feet when the new crisis of her partymen deserting her has begun. She would have never imagined Imran accusing her of nepotism and calling her “incompetent”. Imran and the two other MLAs said they had snapped ties with the PDP that had become a “party of sycophants” of Mehbooba and her family. Imran is a respected Shia leader and has influence in five assembly constituencies of Srinagar and Budgam. He said anyone having the numbers in the democratic system had the right to form a government. 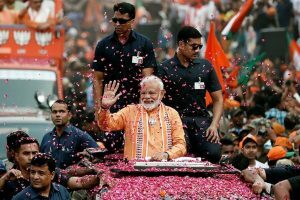 He praised the Modi government for providing a huge amount of financial grants to J&K. Another PDP leader Raja Abbas fired another salvo on Tuesday when he said he had shot off a lengthy letter to Mehbooba two months ago about the suffocating atmosphere created in the party by the sycophants surrounding her. Mehbooba was herself to be blamed for the fall of her government, though the BJP fully supported her, he said. Seeds of the disintegration of PDP were sown when its MP Tariq Hameed Karra resigned from his Lok Sabha seat and joined the Congress to protest against Mufti joining hands with the BJP in 2014. This was followed by the sidelining of another PDP founder and MP Muzaffar Hussain Beig, and thereafter the sacking of finance minister Haseeb Drabu who was instrumental in hammering out the agenda of alliance with the BJP.